This is the kind of wand that generally lengthening mascaras have and they are great in prepping the lashes with a thin coat of product. 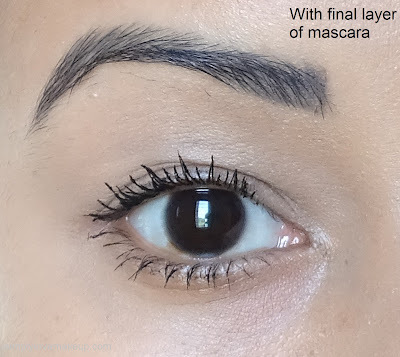 If they are lengthening mascaras then its all the more better cause with this layer your lashes don't just have a base coat on them, they have also been "lengthened". If you want you could apply two layers of it but not more. You don't want any clumps or thick coats on your lashes. My HG base mascara is the Flormar Triple Action 3-in-1 Mascara. 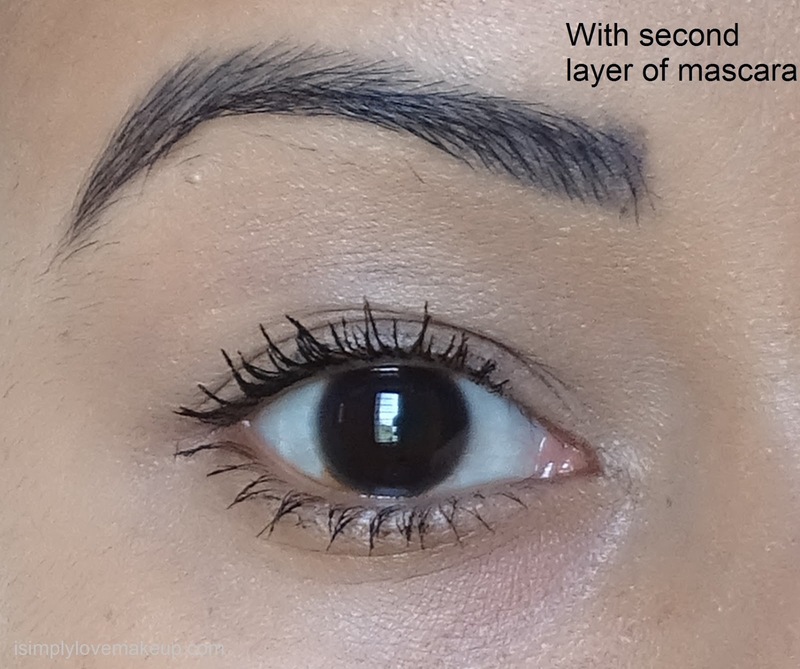 My next layer of mascara is using a Curved wand. 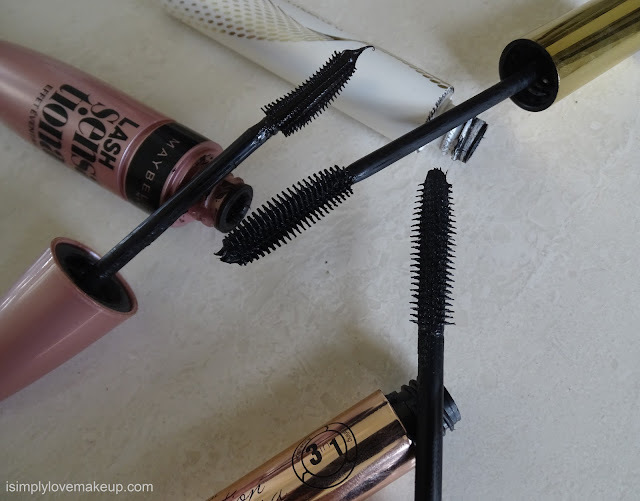 These mascaras generally are supposed to curl your lashes and they are great to add a little volume to your lashes especially if they are poker straight and sparse. And since you already have a mascara on as base, you will notice a definite thickening and a little volume with just once coat with a curved wand. 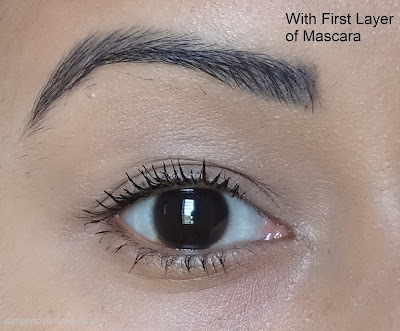 This is the most common and popular mascara wand and these types of wands generally come with volumizing mascaras. Their densely packed and fluffy bristles give an extra boost to your lashes making them look darker and more voluminous. This can be an optional step and if you do plan to apply this mascara then be sure to not apply more than one coat else you'll end up with super clumpy lashes!